A professionally qualified Human Resource & Law professional having more than thirty five (35) years of experience in the area of Human Resource Development, Employee Relations, HR Policy formulation, Performance Management & Labour Legislations in Indian and multi-national companies of repute. To mention a few, he has held senior positions in the area of HR with Glaxo Smithkline Consumer Healthcare Limited, Vardhman Group, Duncan Goenka Group, Anand Group, Cadila Laboratories etc. He had lead HR teams to support business in achieving organizational objectives. Handled successfully difficult IR situations including strikes, lockouts, gheraos, etc. Presently he is working as HR Consultant based at Chandigarh providing HR and Labour Laws Consulting services to entrepreneurs/ Industrial organizations/ industries in and around Baddi and Chandigarh area. Mr Khullar is associated with NIPM (Punjab Chapter) since 1995. 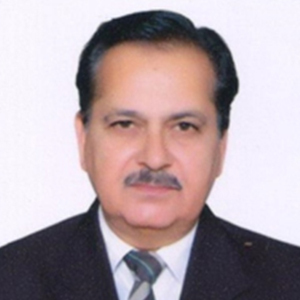 He is a life member and Vice President of NIPM (Punjab Chapter) an association of HR professionals.